© Images courtesy of RSM. 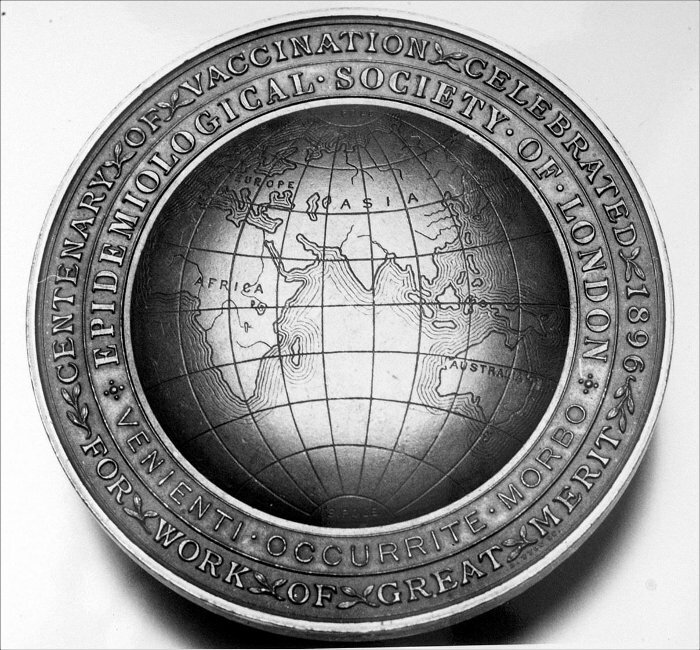 The Edward Jenner was instituted by the Epidemiological Society in 1896 to mark the centenary of Jenner’s first vaccination of a boy against smallpox. The Medal was first presented in 1898 by Sir Patrick Manson to Sir William Henry Power. It features the head of Jenner and the globe of the Epidemiological Society. The Epidemiology Society amalgamated with the RSM in 1907.